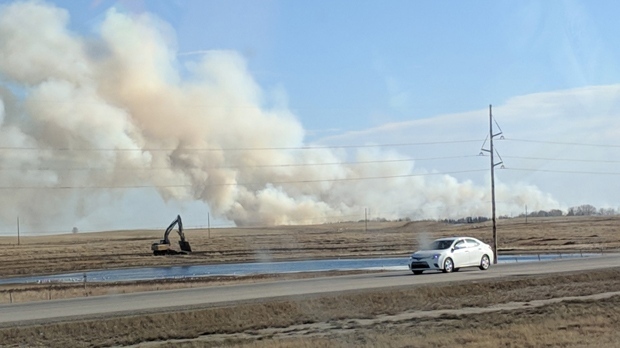 Members of the Rocky View County Fire Department remain on the scene following an afternoon grass fire near the intersection of Range Road 285 and Township Road 241, east of Calgary. 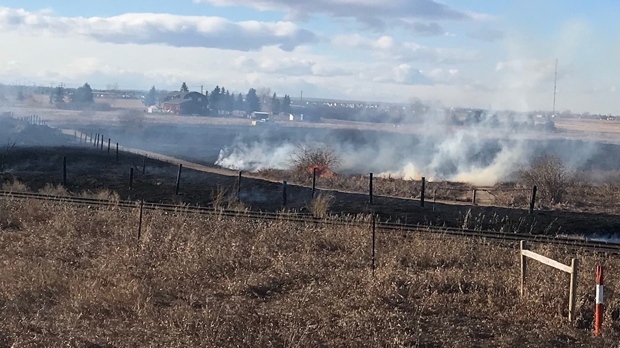 Firefighters were deployed to the scene shortly before 3:00 p.m. as the fire approached several homes in the new subdivision of Cambridge Park. 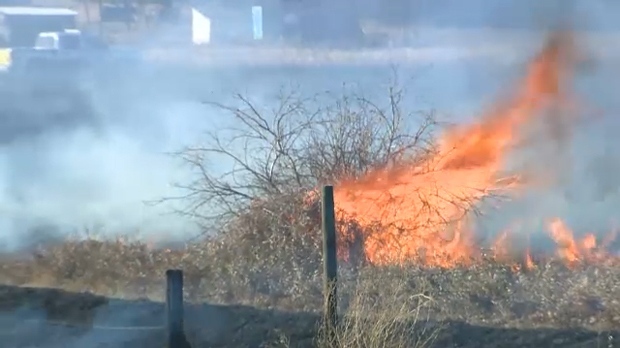 Strong wind exacerbated the situation and contributed to the spread of the blaze. Fire crews will continue to monitor hotspots into the evening. “We know that the progression of the fire isn’t going to go anywhere and all the interface between the unburnt fuel and the fuel, all those spots are out. 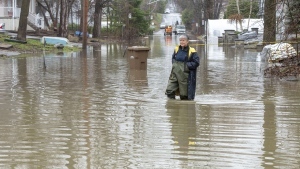 We want to make sure that the winds won’t kick up tonight and start another fire." Rocky View County remains under a burn advisory and fire permits have been suspended due to the dry conditions and unpredictable fall winds.